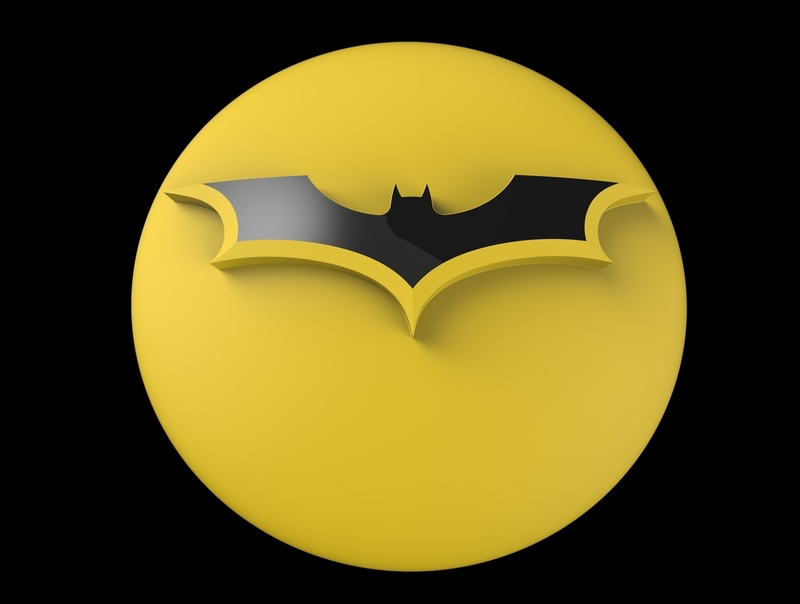 Holy haberdashery, Batman! This classic throwback costume is amazing! 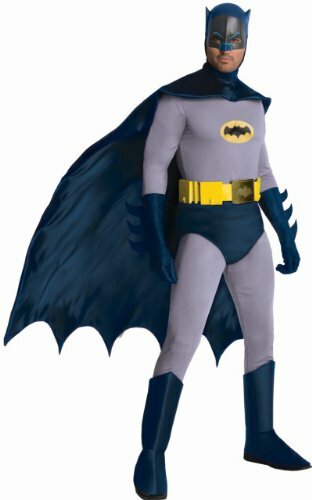 With it’s jumpsuit, briefs, belt, headpiece with cowl, satin cape, gloves and boot tops you can fight crime and stay classy in this retro Batman costume! 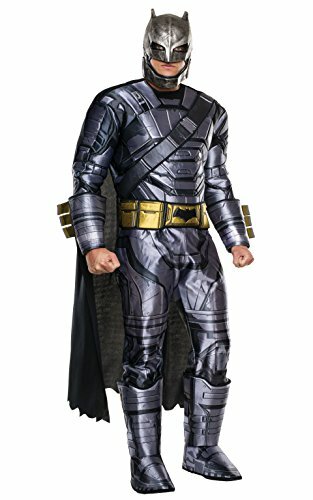 This suit is great in a pinch if you want to show up to your Halloween Party as the caped crusader and still save a pretty penny. Here we have the Batsuit from Batman V Superman used by Ben Affleck. 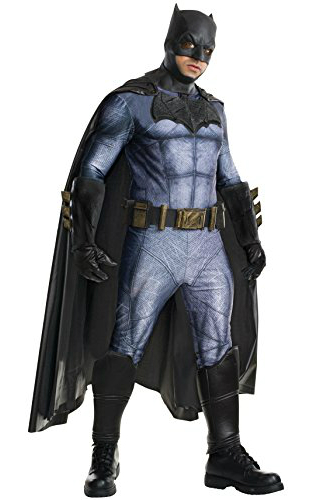 The Amazon reviews say that this suit is a step above most store bought Halloween costume and that the suit is a perfect baseline if you’re looking for a solid start to a great custom Batman suit. This costume is easily modifiable, however even without any extra work, this is a solid Batman suit for a Halloween event as it movie accurate, comfortable, and photographs well (expect plenty of positive attention!). So get out there and rock the Caped Crusader just like Batfleck did! Looking to go out this Halloween as the Batman played by Christian Bale, from the critically acclaimed series by Christopher Nolan? 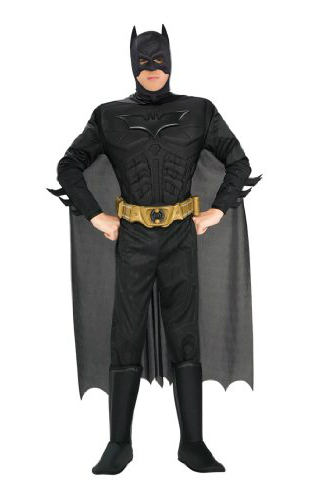 This Batman suit comes with a jumpsuit with velcro closure and attached boot tops. The quality is decent for it not being too pricey. While not as nice as some of the other more expensive suits that you may find, it does work very well in a pinch. It has a sort of muscle suit which mostly sits at the chest, so expect some extra puff when choosing your size! Looking to fight Superman but need some extra armor to keep him from breaking your bones? Look no further, this Deluxe Batman Armored Costume will keep you safe. It comes with a padded jumpsuit with 3D gauntlets and 3D boot tops, a belt, cape, and a mask. This suit gives off the impression of being a deluxe Halloween costume. So you would expect to see it at a party but it has some extra Wow! And Pizzaz! The Amazon reviews say that it’s a good costume for a great price. One of the reviews mentions that he was the coolest looking Batman at his Halloween party and that his son loved his costume.